As I've been working through my copy of the Bible Reading and Meditation Journal I've come across a couple of chapters that tell a story. You know, those chapters telling when Jesus went here, did this, and everyone marveled, etc. Sometimes in narrative chapters, there is no single verse that stands out to me as one to focus and meditate on. So on those days, I use a different method that comes from basic hermeneutics (Pastor Pete Briscoe has a great sermon series on this here). This is an excellent way to dig into narrative chapters for more insight. With a couple quick changes you can work through these passages in your Meditation Journal too! I've made a free printable PDF bookmark for you with all the steps listed. starting on Monday, January 1, 2018. We'll be sharing insights each week, along with challenges and other fun stuff on the Journal and Doodle Facebook page. Be sure to join if you haven't already so you can be a part of the fun! We'll also be sharing on Instagram. Be sure to use the hashtag #IwillMeditate so we can find each other! If you're like me and have already started, go ahead and start sharing! 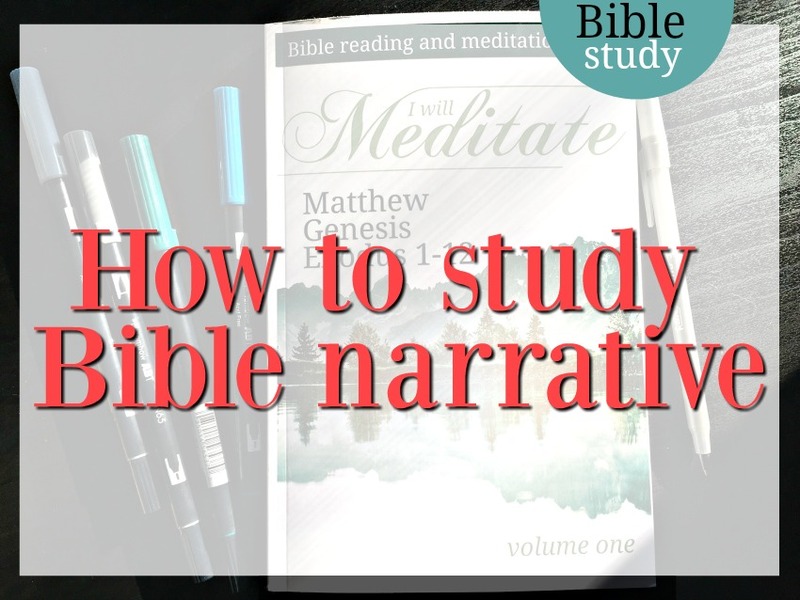 I've also recorded a short video of me working through the journal with the narrative method. You can find it over on my YouTube page. 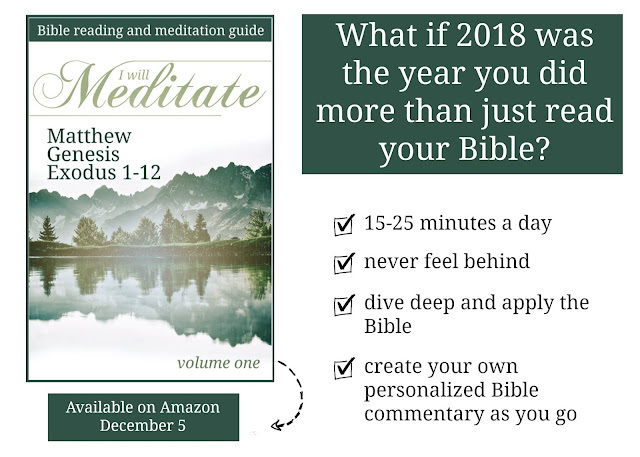 I hope you'll join us in making 2018 the year we do more than just read our Bibles! I'm excited to start this. I purchase this as a Christmas present to myself. Merry Christmas, Kari! Thanks for all that you do! So, I just finished watching the whole series of Pastor Briscoe's "It's Not Greek to Me" I loved it! Thank you for sharing that; I so look forward to using the tools he gave in my new Meditate book this coming year.